Applications are invited from suitably qualified candidates for admission into the University of Abuja (UNIABUJA) postgraduate programmes for the 2018/2019 academic session. Postgraduate Diploma Certificate in Education (PGDE), Business Administration (PGDBA), Public Administration (PGDPA), Political Science, Banking and Finance (PGDBF), Diplomatic Studies, Statistics, Engineering, Food Hygiene Veterinary, Epidemiology, Crop Protection, Agronomy, Agro Forestry, Agricultural Economics and Farm Management, Agric. Business Management, Soil science, Animal Science, Environmental Planning and Protection (PGDEPP), Postgraduate Diploma in Gender Studies. Doctor of Philosophy (Ph.D.) in various areas of specializations in the listed Faculties and Departments in ‘a’ and ‘b’ above. PGD Agric. Econs. & Farm Managt. PGD in Agric. Business Managt. Dept. of Guidance & Counseling Edu. Dept. of Arts & Social Science Edu. Dept. of Science & Env. Edu. Dept of Chemistry – Physical Chem. PGD. in Intercul. Conflict & Comm. Dept. of Geography & Env. Manag. Postgraduate Dip. in Env. Plan & Protec. Ph.D. Population & Manpower Plan. 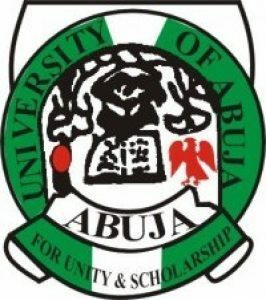 UNIABUJA Postgraduate Admission – General Entry Requirements. Candidate for Postgraduate studies into University of Abuja must have obtained at least (5) credits including English and Mathematics in not more than two sittings in WASC NECO GCE (Ordinary Level) or their equivalent. Candidate applying for the M.A., M.Ed., M. Eng., MVPH, MVPM and M.Sc. degrees in any field must have obtained a Bachelor’s degree with at least second class lower division in the relevant discipline. Candidates seeking for admission into any of the postgraduate Diploma Programmes must possess a university degree with minimum grade of third class or HND with a minimum of Lower Credit. How to Apply for UNIABUJA Postgraduate Admission. Visit the PG University Portal at www.unibuja.com and click on Postgraduate School to apply on line. Application Fee: A non-refundable Application fee of N20,500.00 should be paid to University of Abuja Account through REMITA via University of Abuja Portal www.unibuja.com. NOTE: Applicants are advised to access REMITA through University of Abuja Portal above for record purposes. Please NOTE the following:- Mix-up in the application by applicant will attract other charges, Multiple applications are to be paid for and fill forms separately, Error in completion and submission of forms during the process of application would lead to loss of application processing for the academic session (e.g selecting M.Phil. instead of M.Sc. or Ph.D.), A candidate who is not admitted into the programme applied for cannot transfer the application for consideration into another programme, Statement of Result for (4) years and above will not be accepted for admission (applicants should therefore obtain certificates from the relevant examination bodies). NOTE that Application fees are non-refundable. Period of Application: The application portal will be opened for a period of Six (6) weeks from the date of this advert. Applicants are advised to fill in and submit their Application forms within this period.